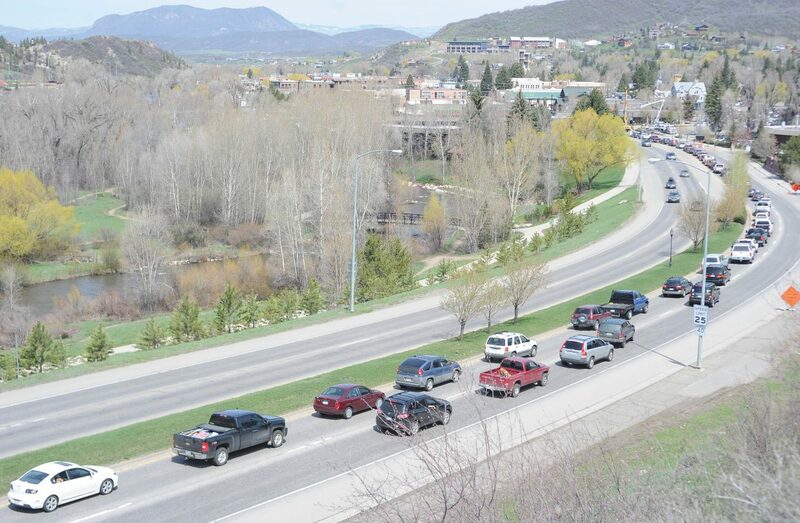 Traffic backs up on U.S. Highway 40 in Steamboat Springs because of summer roadwork. 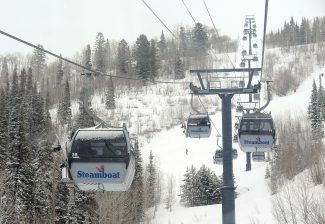 STEAMBOAT SPRINGS — Drivers could spend less time in traffic jams around the city, and pedestrians would no longer have to wait for the traffic to stop at Pine Grove Road to cross U.S. Highway 40 in the near future if the Steamboat Springs City Council approves the city’s latest capital improvement plan. The city’s capital budget proposal also includes the purchase of a new chairlift at Howelsen Hill in 2019, several years’ worth of riverbank improvements on the Yampa and one more year of improvements in the downtown corridor. Here’s a breakdown of some of the more significant projects being proposed in the next two years. 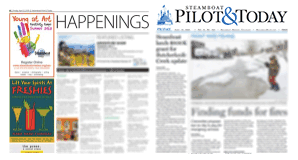 Many residents fumed about the traffic jams they encountered in Steamboat this summer. Traffic counters on U.S. Highway 40 confirmed it wasn’t just due to construction on the west end of town. There was a record number of vehicles heading into town on U.S. 40 from the east. This project would install new “smart signals” on U.S. 40 that would be able to react in real time to traffic conditions. That means if traffic is starting to get clogged up at Third Street and Lincoln Avenue, the timing of the signal could be adjusted to improve the traffic flow. Cities around the country with greater traffic woes have invested millions of dollars in the new technology to reduce delays during the rush hour commutes. 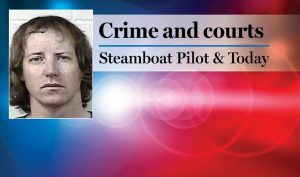 The project in Steamboat would encompass the lights that run from Walton Creek Road to 13th Street. According to city officials, studies have shown the use of smart signals can improve travel time, emissions reductions and fuel consumption by 10 percent. Steamboat’s current traffic signals currently run on set timers. City engineer Ben Beall told Steamboat Today this project would be like changing the signals from analog to digital. The Colorado Department of Transportation would pitch in 73 percent of the project cost, with the city’s share totaling about $100,000. With all the landslide woes on Howelsen Hill, several of the city’s elected officials have called for a new strategy that doesn’t involve sinking hundreds of thousands of more dollars on the existing Barrows Chairlift. The current lift towers have repeatedly shifted with the moving earth in the spring. And the city has had to cough up hundreds of thousands of dollars to secure the towers so the lift can continue to service the Alpine slide. A large fissure could be seen cutting across the face of Howelsen Hill in spring 2016. For the second year in a row, the slide threatenened lights, lift towers and the Alpine slide. Today, some council members are thinking the city should find a more stable route up the hill with a new lift. The city has now added a $3.8 million project to the capital budget that would replace the Barrows lift with a new lift. The proposal also calls for electric surge protectors to be installed on the existing Poma lift and the replacement of that lift’s top terminal. Next year, the city also wants to spend $760,000 to replace snowmaking equipment on Howelsen. The capital plan calls for several years worth of improvements along the Yampa River corridor. The view from an excavator working in the Yampa River. In 2019, work would involve construction river channel realignment above the Depot Kayak Hole just downstream of the 13th Street bridge to reach optimal performance at that river feature. In addition, the city would work on designs for riverbank improvements next to The Flour Mill apartments, which were formerly known as the Iron Horse Inn. The city estimates the total spending on river improvements will total $115,000 in 2019. 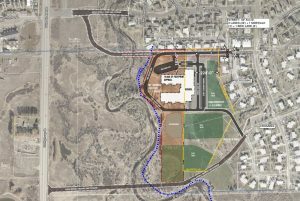 Starting next year, pedestrians should be able to bypass the busy Pine Grove Road intersection and use a new underpass to get from Safeway to Walgreens and the Yampa River Core Trail. 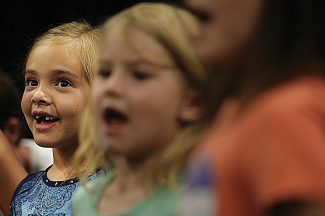 The city plans to spend $156,000 on this project next year along with a $250,000 grant. With corroded outlet pipes and a spillway deemed too small to safely handle a potential flood, the Upper Spring Creek Dam — more than a century old — is in need of significant repairs or replacement. The city in recent years has considered everything from breaching the dam to spending as much as $1 million to replace it. Families enjoy one of the ponds fed by Spring Creek. The Upper Spring Creek Dam is more than a century old and is in need of costly repairs or replacement. The option the city is now pursuing involves building a less costly spillway to replace the dam. The lower pond, which is used as a dog park, should not be significantly impacted by the work. The dam replacement project is estimated to cost $225,000 next year. The plan in 2018 is to spend $75,000 to renovate Klumker Field. The project would involve re-grading the field, fixing drainage problems and installing a new irrigation system. In 2019, the city wants to spend $75,000 to install a new batting cage next to Adams Field. Both Adams Field and Klumker Field are located in Howelsen Park. Walton Creek Road, Apres Ski Way and Bear Drive were among the streets that got the most attention this year during the paving season, according to the city’s annual road paving budget. Overall, several streets in the city got more attention thanks to the city council’s decision to raise the annual paving budget from $750,000 to $1.5 million. Next year, Steamboat Boulevard, Elk River Road, Riverside Drive and Meadow Brook Circle would see the most in terms of spending on new pavement. Pedestrians and cyclists who have biked on the sidewalk along U.S. Highway 40 between Hilltop Parkway and Old Fish Creek Falls Road know this path is in need of some TLC. City officials call this stretch of sidewalk dilapidated. The city has historically plowed and maintained this stretch of sidewalk despite code requirements that say the adjacent property owners should maintain it. However, city officials write in their budget proposal that they think it would be prudent to improve the sidewalk before enforcing the maintenance obligation. 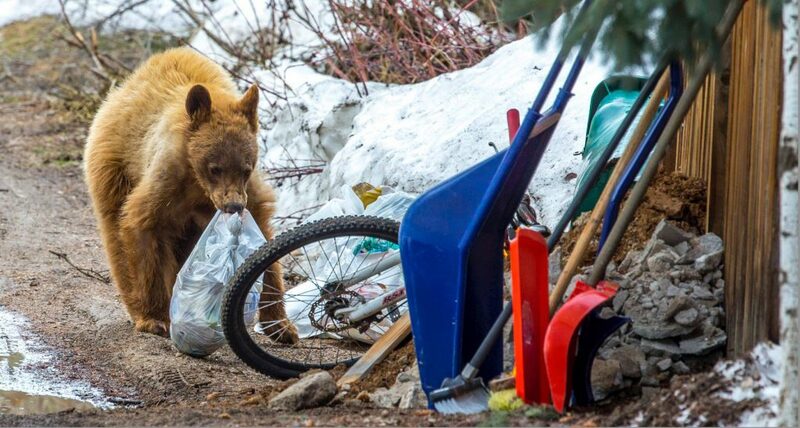 The budget calls for $200,000 worth of improvements from the city, and then a shift of the maintenance responsibilities to private property owners.